If your Shopify store supports custom properties in the checkout, these fields are now available on order slips and automations in Webshipper. With the new app Webshipper Slip Scanner for iOS you can use your iPhone to scan order slip. When viewing the lists of orders or shipments, you are now able to filter the various orders or shipments using a "is not"-filter when the filtering is based on tags. 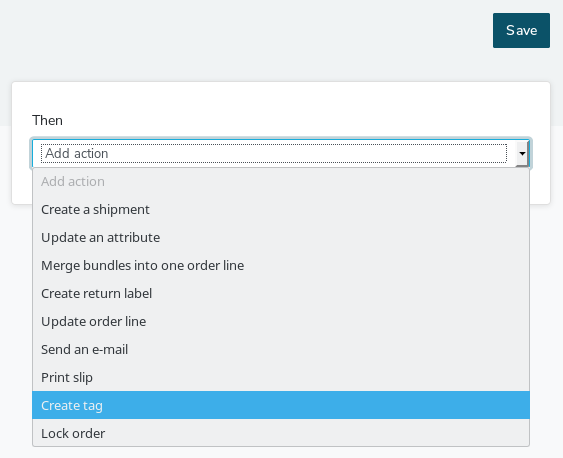 You are now able to add tags to orders using automations. This can be useful for filtering orders when viewing them in Webshipper to maintain an easy overview. You now have the option of uploading and managing images for your e-mail templates. When you are editing an e-mail template, simply click on "Manage images" to get started. Major new feature for the Webshipper platform. Your e-commerce system may now, on demand, request service availability and shipping prices from certain carriers during checkout (At the moment DHL and UPS), which removes the need to pre-define the exact shipping costs. Surely Webshipper will start publishing changelogs very soon.